Plastics is the unlikely celebration of plastic bags and, more generally, plastic objects that have caught photographer Michael James Fox’s eye over the years. Michael spent his childhood reading skate magazines and watching videos of peers with similar interests. Michael’s interest in photography was sparked when a friend gained access to a VHS camera. As time went by, Michael’s attention shifted from film to photography, the latter of which continues to interest him today. “Video making led me to photography when I was 16,” Michael tells It’s Nice That. “At that time I was obsessed with MC Escher and Dali, I wanted to create surreal images of my own. In the darkroom I sandwiched negatives together, experimented with blurring and even painted on prints.” It is safe to say that abstraction continues to be at the heart of Michael’s practice. At first glance Michael’s photographs resemble soft, delicate substances that have been captured mid-movement. They look nothing like your local Tesco shopping bags you buy for 5p in your local supermarket. 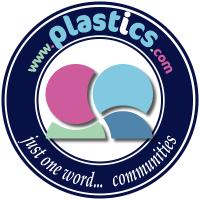 “I started collecting plastic bags when I was traveling for work in 2005. I wanted to keep them as souvenirs. I would search local corner shops, bazaars and food markets for vibrant coloured or uniquely designed bags to fill my collection,” the photographer says. Michael took his first still-life plastic-inspired picture in London in 2008. His time in the capital was difficult, he says, but gave him time to stretch his photography skills and experiment with different styles. At the time Michael thought nothing much of his images but, as the years went by, the artist found himself turning back to them, noting that he had inadvertently been creating a coherent series. 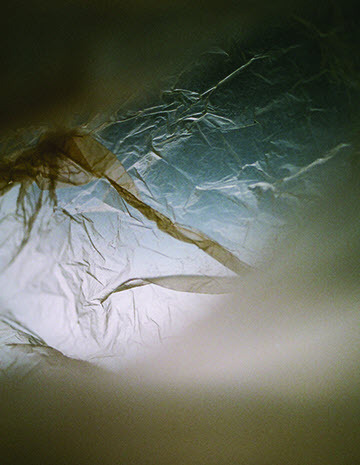 Plastics is an ongoing body of work and — despite the book’s recent publication — Michael will continue experimenting and exploring the synthetic material. “Photography allows me to evaluate myself in a different way. I usually work on fashion and advertising assignments but my own work allows me to connect more deeply with my subconscious. A visual expression of something I can’t articulate in words.” As one of the world’s main pollutants, plastic receives mostly negative press. Michael’s book reimagines the commonplace material and reveals the material’s creative potential and artistic merit.